Construction continues on the Amazon distribution center at Enterprise South. NASHVILLE -- An attorney for an association representing some of America's biggest retailers says the group may file suit if state officials don't require Amazon to collect sales taxes when the company begins using two Tennessee-based distribution centers now under construction. "Do my clients have standing to bring an action in court? In my opinion we do," said Bill Hubbard, a Nashville-based attorney for the Retail Industry Leaders Association, which includes Wal-Mart, AutoZone and other major retailers battling Amazon on Internet tax-collection issues nationwide. "And yes," said Hubbard, "I think the court is a potential remedy for my client." A 1992 U.S. Supreme Court opinion says states cannot compel out-of-state retailers to collect sales taxes unless the retailers has sufficient physical presence in the state. In a legal advisory opinion issued June 28, Tennessee Attorney General Bob Cooper said an out-of-state retailer's use of in-state distribution centers would support a finding of physical presence -- or "nexus" in legal terms -- if its activities are "significantly associated" with the retailer's ability to establish a market for the sales. Hubbard has argued all along that the two $139 million distribution centers Amazon is building in Hamilton and Bradley counties constitute physical presence. Cooper's opinion also stated that bills introduced by two top legislators to compel Amazon to collect taxes would be constitutionally defensible. On Monday, asked if there were concerns about Tennessee getting sued over the Amazon deal struck by former Gov. 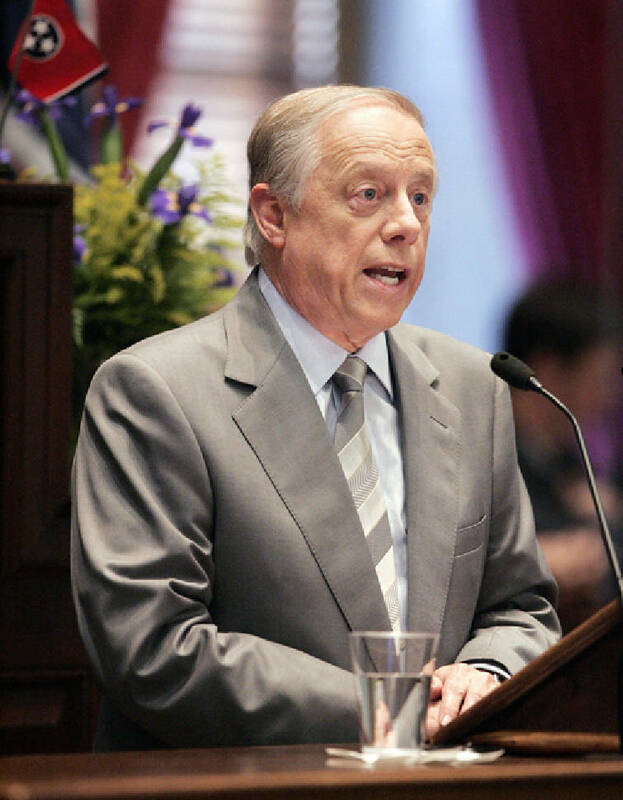 Phil Bredesen before he left office, Gov. Bill Haslam declined to make a concrete statement one way or the other. "I'm not a legal authority, and it would be premature to conjecture on that. I really don't know the answer to that," he said. In late May, the Amazon sales tax bill was postponed until next year in the General Assembly to give Cooper time to write his opinion. The bill sponsors say they are ready to come back with it in 2012 but also say they are willing to accept a compromise that exempts Amazon from having to collect the tax for two to three years. Hamilton and Bradley lawmakers say that flies in the face of the deal that was cut with Amazon to get them here. Meanwhile, some observers say a little-noticed July 11 legal opinion by Cooper could give additional ammo to Amazon's critics. The opinion, sought by Jim White of the General Assembly's Fiscal Review Committee in a matter involving pharmacists, says that "state statutes obligating sellers to collect sales tax from purchasers of tangible personal property at retail cannot be waived by contract." White said Monday he "would not hazard a guess" on whether it could apply to Amazon. "I hate to get into hypotheticals," he said. Pressed on the issue, White explained, "If the activity results in taxable sales, if the law makes collection of that tax mandatory, [if] there's no exemption or provision in the law for that to be waived, then the parties could not basically forego or waive the sales tax through the contract." But White said he can't say if those facts apply to Amazon or not. Retailers in the past have openly speculated the state Revenue Department has issued Amazon a private-letter opinion that seeks to exempt it from sales tax collections. Revenue officials have refused to comment, citing state confidentiality laws.